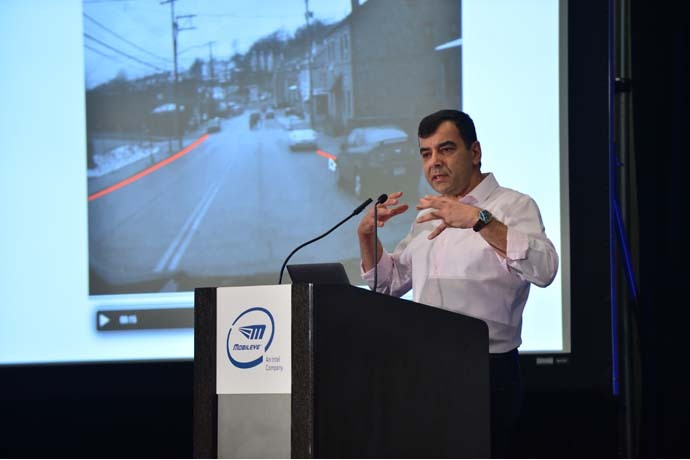 Mobileye 8 Connect™, Mobileye’s next-generation aftermarket collision avoidance system powered by the EyeQ4®, is capable of collecting dynamic data to make cities smarter, safer and Autonomous Ready™. Beginning early this year, the Mobileye 8 Connect-equipped fleets will harvest valuable information on city streets and infrastructure to create high-definition crowdsourced maps through Mobileye’s Road Experience Management (REM) – a critical enabler of full autonomy. Gett*: The global on-demand mobility company is expected to equip approximately 500 London black cabs with Mobileye 8 Connect. In addition to important safety features, the technology will be used to create the first HD map of London through REM. Buggy TLC Leasing*: The large lessor of for-hire vehicles servicing popular ride-share apps such as Uber* is expected to outfit approximately 2,000 New York City-based vehicles with Mobileye Aftermarket. Through the REM system, data will be collected resulting in a high-definition map of NYC. Düsseldorf, Germany: The city of Düsseldorf is expected to equip 750 vehicles with Mobileye 8 Connect. Financed by the German federal government, this project will test models of data collection and investigate the suitability of Düsseldorf’s existing infrastructure for autonomous vehicles and connected driving. Country of Spain: Mobileye and Spain’s Directorate General of Traffic (DGT) will collaborate to enhance road safety and prepare Spain’s infrastructure and regulatory policy for autonomous vehicles. Berkshire Hathaway GUARD Insurance*: The business insurance provider is expected to equip approximately 1,000 to 2,000 trucks with Mobileye 8 Connect to reduce damage and claims costs. Data collected through the embedded REM capability of these systems will result in a rapidly refreshing HD map of the areas where these vehicles operate. Launching this year, Mobileye 8 Connect offers an increased level of safety, connectivity and data-collection capabilities to empower management of fleets and city assets on a much larger scale. Building on insights and expertise, the improved algorithms and new suite of safety tools of Mobileye 8 Connect bring collision avoidance safety and smart city data collection to the next level. Mobileye 8 Connect is the latest innovation introduced by Mobileye Aftermarket, a division of Mobileye, an Intel Company that offers an ADAS system that can be retrofitted onto any existing vehicle. Requiring only a single camera sensor and the EyeQ® processing system mounted on the windshield, Mobileye Aftermarket products can be installed in any existing vehicles to act as a “third eye,” identifying potentially dangerous situations and providing audio and visual alerts to assist the driver in preventing or mitigating a collision. Mobileye Aftermarket offers systems customized for mass transit vehicles, government fleets, law enforcements, corporate truck fleets, ride-share networks and more.